Dean Fetterhoff led the Grace Brethren Church, in Marietta, Ga., for 40 years before he retired. Earlier in his career he was the national evangelist, traveling for the Brethren Board of Evangelism. His son, Bob, followed his footsteps into the ministry and has served at Grace Church, Wooster, Ohio, since 1980, including 36 years as senior pastor. In this video, Bob asks his Dad about the legacy he has been leaving during his life. 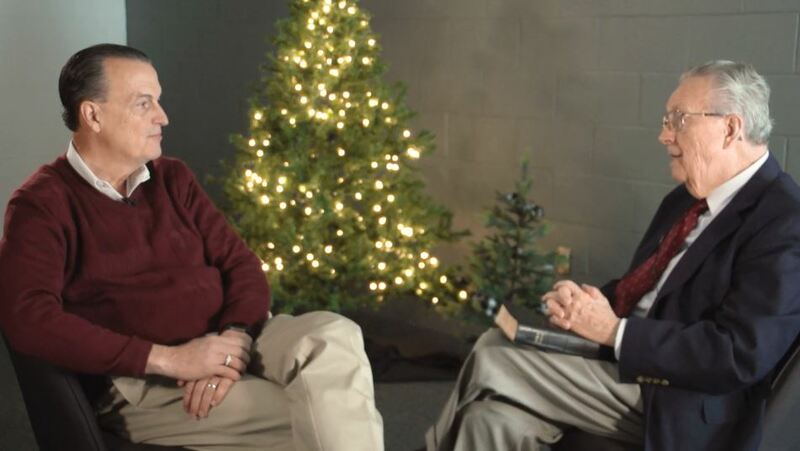 Pastor Bob Fetterhoff Interviews his Dad from Grace Church on Vimeo. This story appeared in GraceConnect eNews. To subscribe to the weekly e-newsletter that includes news and information from congregations in the Charis Fellowship, click here.